Mubychem Group, established in 1976, is the pioneer manufacturer of Potassium Sodium Tartrate, Pharmaceutical, Fragrance & Flavor chemicals in India. Mubychem Group has several manufacturing facilities spread across Gujarat and Mumbai India and world wide contacts and toll manufacturers. We are exporting globally to countries like USA, Europe, UAE, South Africa, Tanzania, Kenya, Egypt, Nigeria, Uganda, Turkey, Mexico, Brazil, Chile, Argentina, Dubai, Indonesia etc. 98.0 per cent to 101.0 per cent (anhydrous substance). White or almost white, crystalline powder or colourless, transparent crystals. Very soluble in water, practically insoluble in alcohol. A. It complies with the test for specific optical rotation. B. It gives reaction of tartrates. C. It gives reaction of potassium. D. It gives reaction of sodium. Dissolve 5.000 g in carbon dioxide-free water, prepared from distilled water, and dilute to 100.0 ml with the same solvent. To 5 ml of solution S, add 0.1 ml of phenolphthalein solution. Not more than 0.5 ml of 0.0 M hydrochloric acid or 0.01 M sodium hydroxide is required to change the colour of the indicator. + 28.0 to + 30.0 (anhydrous substance), determined on solution S.
To 5 ml of solution S, add 3 ml of calcium sulphate solution R. Allow to stand for 5 min. Any opalescence in the solution is not more intense than that in a mixture of 3 ml of calcium sulphate solution and 5 ml of distilled water. 24.0 per cent to 26.5 per cent, determined on 50.0 mg.
Butanedioic acid, 2,3-dihydroxy-, [R-(R*,R*)]-, monopotassium monosodium salt, tetrahydrate. Potassium Sodium Tartrate contains not less than 99.0 percent and not more than 102.0 percent of C4H4KNaO6, calculated on the anhydrous basis. A: Ignite it: it emits the odor of burning sugar and leaves a residue that is alkaline to litmus and that effervesces with acids. B: To 10 mL of a solution (1 in 20) add 10 mL of 6 N acetic acid: a white, crystalline precipitate is formed within 15 minutes. C: A solution (1 in 10) responds to the tests for Tartrate. Alkalinity— A solution of 1.0 g in 20 mL of water is alkaline to litmus, but after the addition of 0.20 mL of 0.10 N sulfuric acid no pink color is produced by the addition of 1 drop of phenolphthalein TS. Water: between 21.0% and 27.0%. 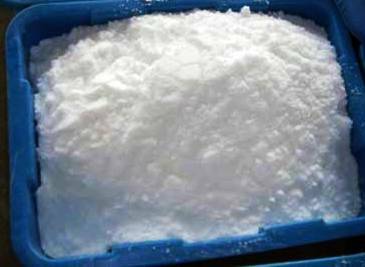 Sodium Potassium Tartrate occurs as colorless crystals or as a white, crystalline powder. As it effloresces slightly in warm, dry air, the crystals are often coated with a white powder. It is a salt of L(+)-tartaric acid. One gram dissolves in 1 mL of water. It is practically insoluble in alcohol. A. Upon ignition, a sample emits the odor of burning sugar and leaves a residue that is alkaline to litmus and that effervesces with acids. B. Add 10 mL of acetic acid to 10 mL of a 1:20 aqueous solution. A white, crystalline precipitate forms within 15 min. C. A1:10 aqueous solution gives positive tests for Tartrate. Assay: Not less than 99.0% and not more than 102.0% of C4H4KNaO6·4H2O after drying. Water: Between 21.0% and 26.0%.